This week I completed a few models that I started towards the end of the 2018 – I’m counting them as 2019 models however, as I think only models actually completed should ever count to the years total. This was really completing a project started in 2018, rather than something specifically started this year. I’d already painted the first 8 or so, and had also almost finished the next 8; but I managed to push through to complete the remaining of the set. The final hobbit of the fellowship is now pretty much done – other than perhaps some tidying up of his eyes which aren’t quite right. 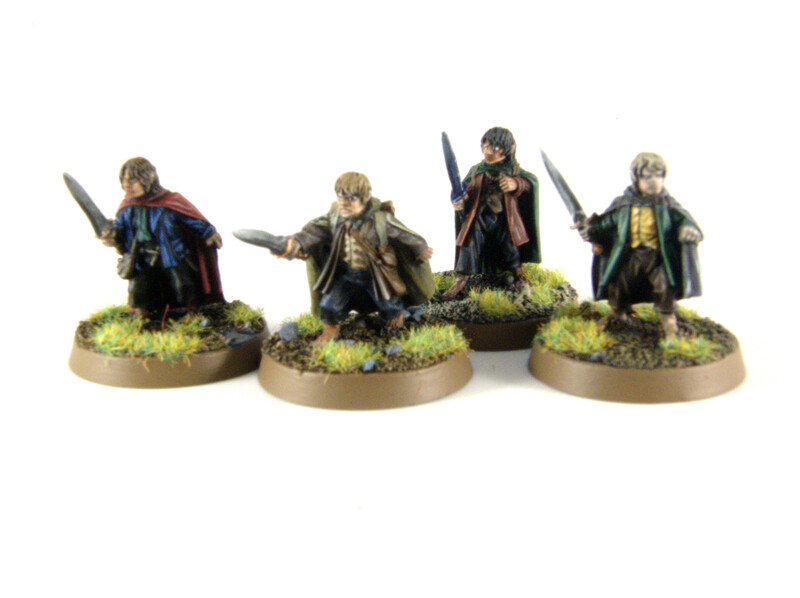 The Ring-Bearer joins his little pals from the shire! 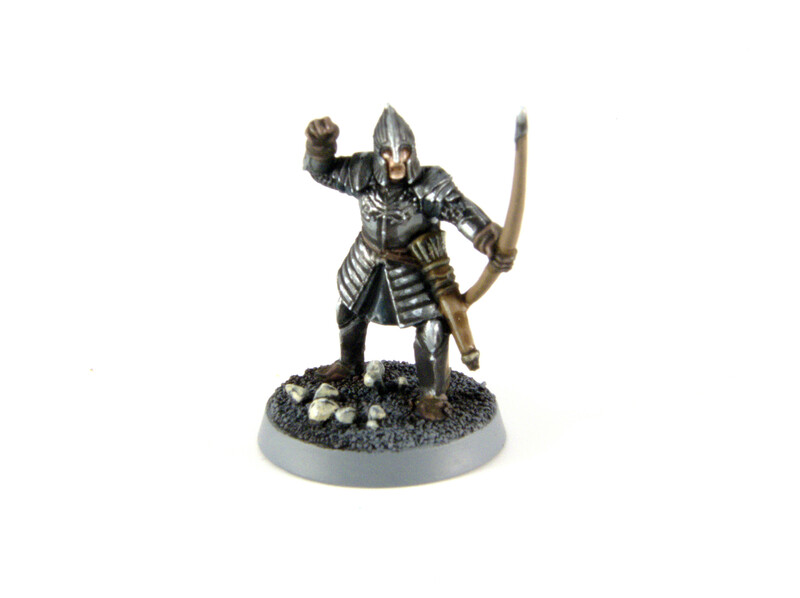 This particular model randomly came with an eBay purchase I made of some Riders of Rohan – his bow had snapped off (either in transport, or the reason he was thrown in), and the broken part was included. I managed a hasty repair job, and decided to paint him up. I’m a really big fan of the look of the Minas Tirith warriors, although on their own they look a little boring, but when assembled together with thematically consistent basing, they can look the part. He was really, really easy to paint with only a handful of colours. 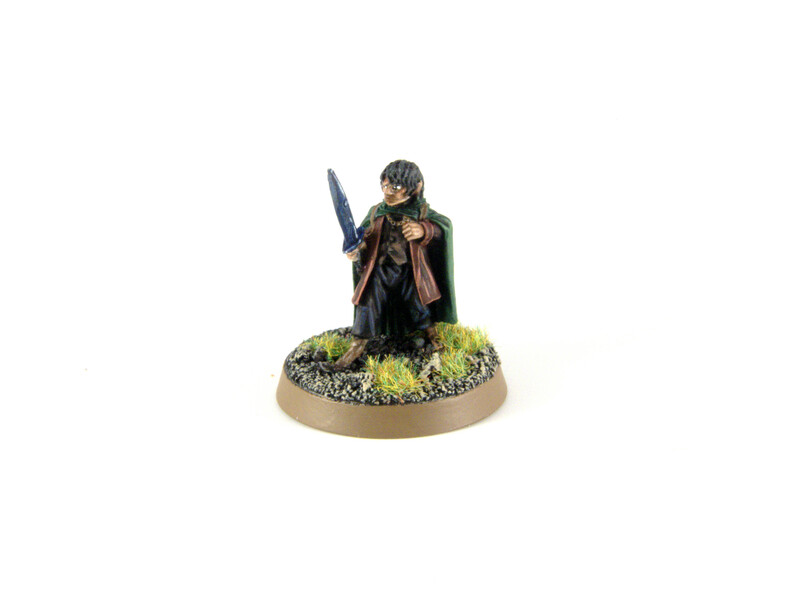 I went for a grey rimmed base, as I thought it would be nice to give each collection of Lord of the Rings models a base appropriate with some of their more famous scenes from the movie. I’m quite fancying putting together a small force now… that’s the last thing I need; more models to paint! 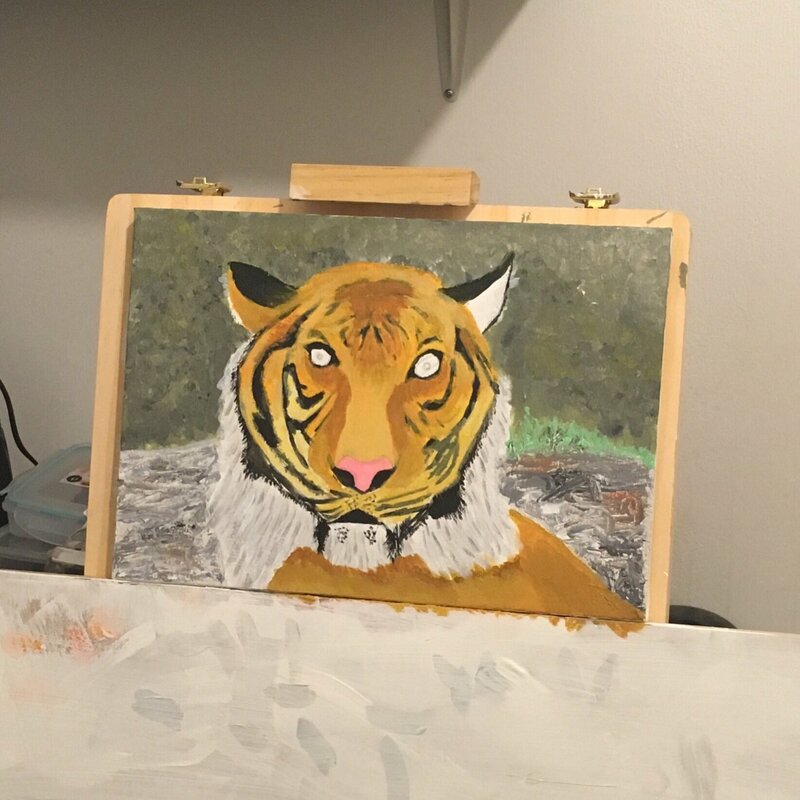 I haven’t completed an actual painting properly since the painting of Yoda the Cat I created in 2017 for Monica’s birthday. This was a painting I started in October, which I sort of lost a little bit of interest in due to not liking the colour choice. After receiving a few words of encouragement from Monica, I thought I’d give it another whirl. I think I’m happier with the colour change, even if it’s not quite up to the standard I’d normally like.